Learn how to navigate your options so you don't get burned by a bad CRM implementation. We're here to help! 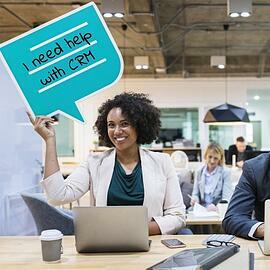 A customer relationship management (CRM) system captures customer information, which you analyze and use to make informed decisions that improve customer satisfaction and generate more, better-qualified leads. Ready to get started? Fill out the form on this page to download the eBook.